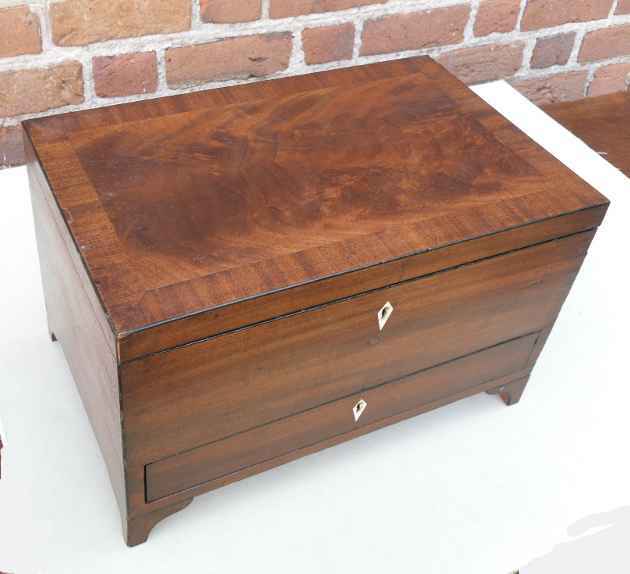 Mahogany box with one drawer. 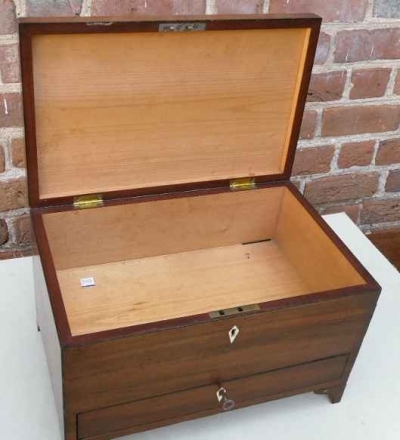 Features cross banding around the top and diamond shaped ivory escutcheons. Keys to both the top and drawer.